The new Texas Almanac is out! I don’t want to sound like a jerk, but the new Texas Almanac is here. Since the publication of the first edition 1857, the Texas Almanac has become a Texas institution by providing a remarkable collection of information on all things Texas. Whether you’re writing a textbook about Texas politics or thinking about where to do business in the state, the Almanac is indispensable. You can even look up who won state sports championships. The Texas Historical Association provides a free online version (I was reassured by the notation: “Our records indicate that Nacogdoches currently exists”), but some us still buy a hard copy (or get one through our support of the Bob Bullock Texas State History Museum). 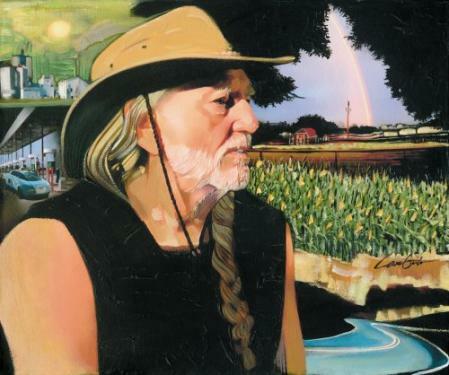 While not as widely discussed as the cover or Time or Sports Illustrated, I thought putting Willie Nelson on the cover was an interesting choice. Nelson is a great example of one of those flawed Texans that obtain legendary status. Like Sam Houston, Willie Nelson captures the Texas spirit even though his personal life has not always been a role model that Texans would point to.